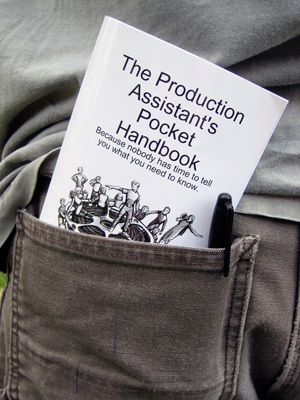 I picked up The Production Assistant’s Pocket Handbook recently, and I pretty much read it all in one sitting. I’m really not that interested in becoming a P.A., but the book sounded neat, and as a PDF it was just $3 from LuLu. Caleb, the author, has a web site for it which you can check out. Posted on Monday, November 17th, 2008 at 12:00 pm. Subscribe to the comments feed. Both comments and pings are currently closed. Post on your own blog.